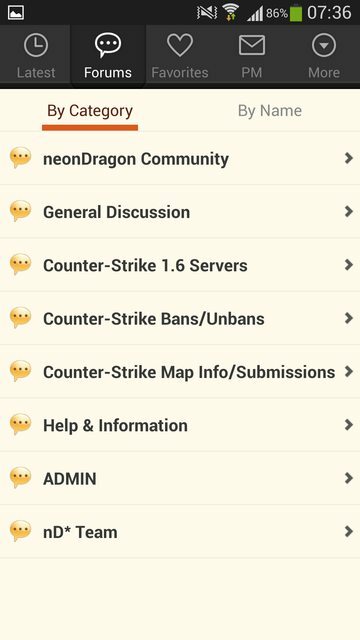 neonDragon - View topic - NEW: Forum app for neonDragon! #1 NEW: Forum app for neonDragon! 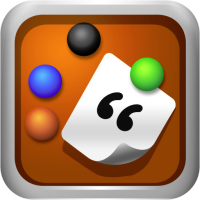 Tapatalk is an app specifically designed to browse and use forums comfortably on smartphones. It supports over 50,000 forums, and as of today, neonDragon.net as well. - Post - you can easily add smilies or even attach images from your phone! NOTE: There are different styles available - this is just an example of the default styles. Or search for "Tapatalk" in your app store! 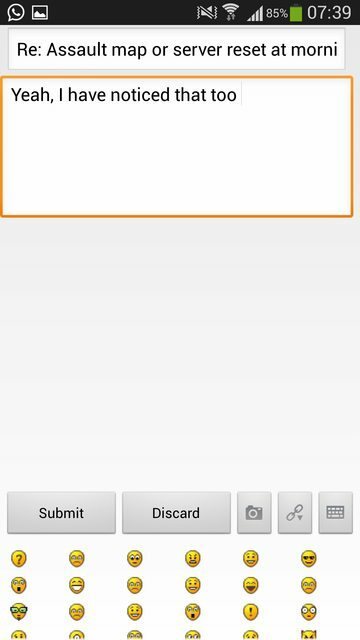 NOTE: If you have a new Android Phone with a big screen you can also choose the "Tablet" version - it's the newest version of the App! 2) Search for "neonDragon", add it, and simply log in! Of course, the forums can also always be reached normally by using a web browser - nothing has changed about that. 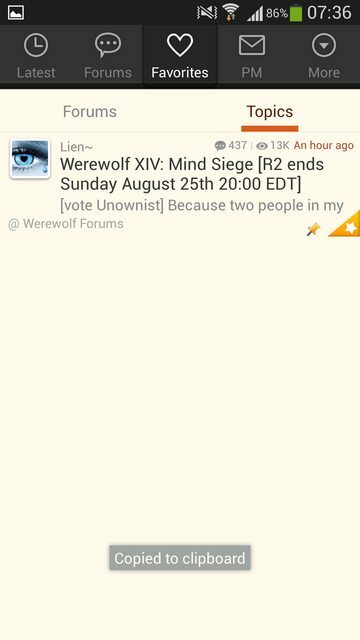 #2 Re: NEW: Forum app for neonDragon! Wait whut? LOOOLLL, ok. Lets see how this will develop. Nicely going there Mati!! How come you came up with this? And was it hard to create? #3 Re: NEW: Forum app for neonDragon! 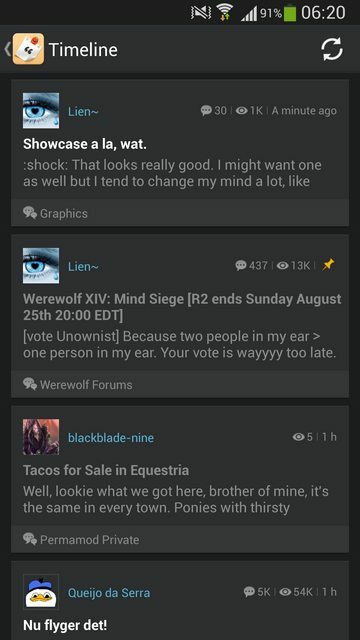 #4 Re: NEW: Forum app for neonDragon! He didn't create anything. 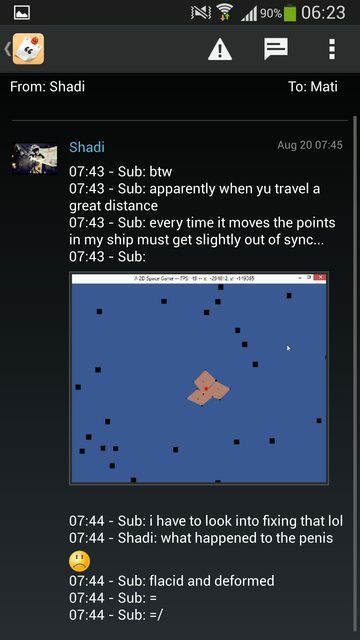 Just install to forums. #5 Re: NEW: Forum app for neonDragon! Wait for a second did mati already come up with this app ages ago or was it me? 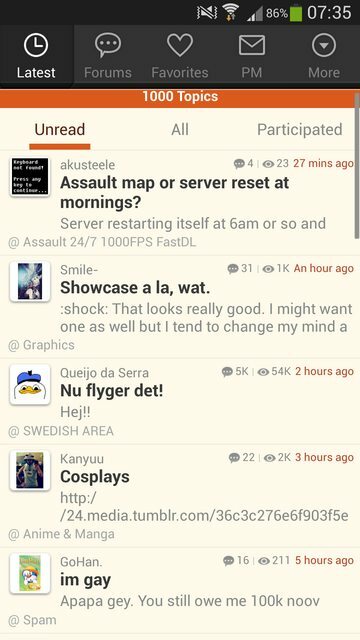 #6 Re: NEW: Forum app for neonDragon! 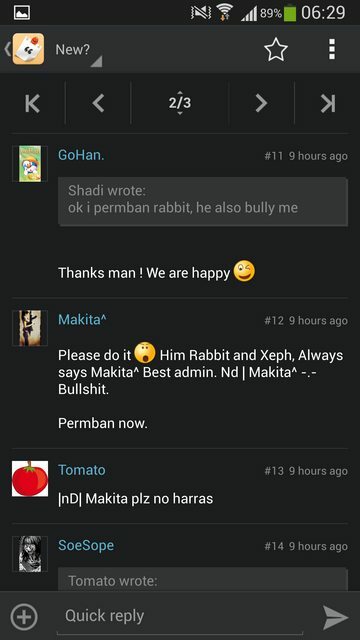 Tapatalk is just an app that exist for ages on both the stores. 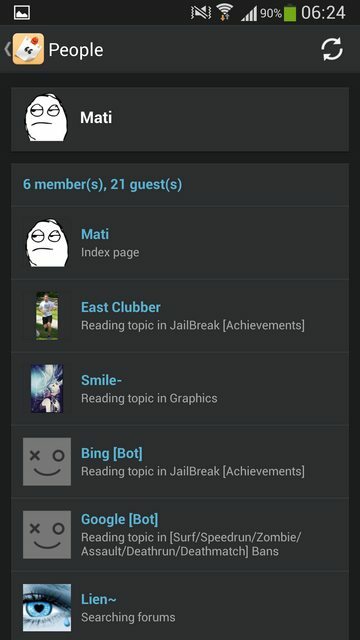 Mati only added the forums in tapatalk and now that application supports this website ( Neondragon obv ). 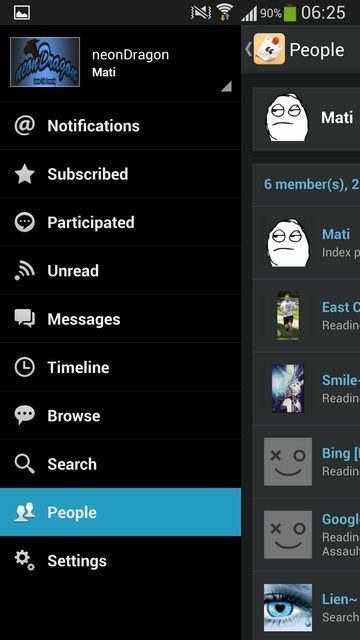 #7 Re: NEW: Forum app for neonDragon! Last edited by capitan pescanova on Thu Aug 29, 2013 10:45 am, edited 1 time in total. #8 Re: NEW: Forum app for neonDragon! Nice! Is it possible to customize the looks of it? 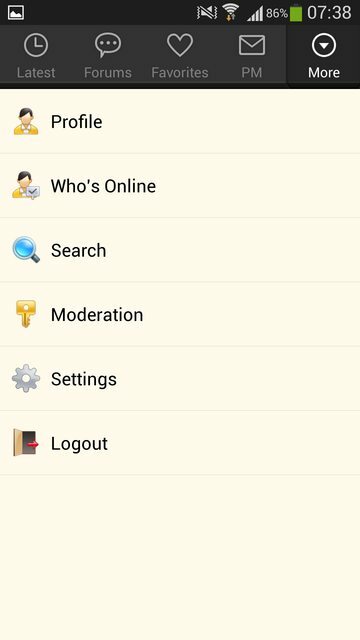 #9 Re: NEW: Forum app for neonDragon! 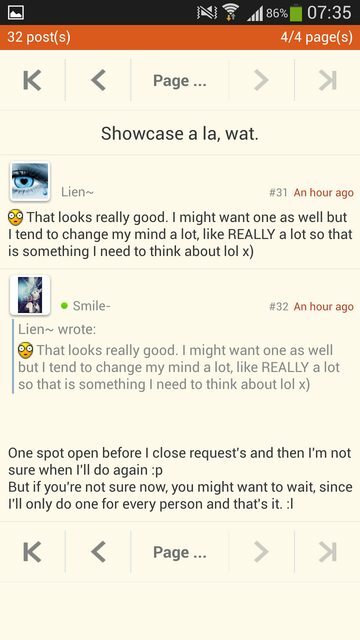 and lol, I have too many PMs I think it broke when I entered inbox. Even after restarting phone it didn't work and it was stuck to inboxes. Cleared cache and all data permanently and now it works. I don't dare going to inbox again :S Everything else is rly smooth though. #10 Re: NEW: Forum app for neonDragon! But I meant for public to see. So the colors etc are that of the desktop forums. #11 Re: NEW: Forum app for neonDragon! Yes, but only on your own phone idk what you mean by "for public to see" you mean create your own and make ppl dl them and you download other's? Not sure. 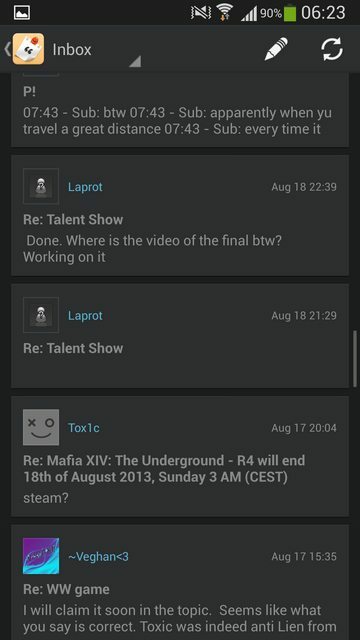 #12 Re: NEW: Forum app for neonDragon! 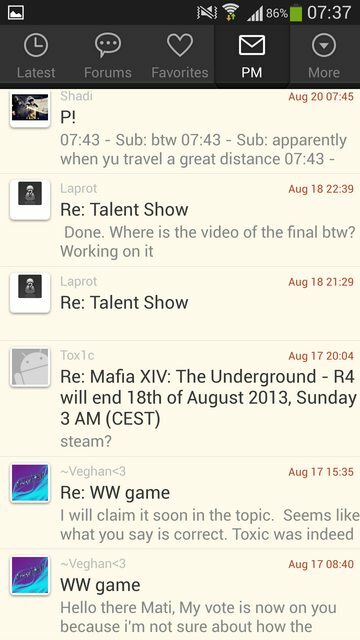 #13 Re: NEW: Forum app for neonDragon! He probably meant whether it could be so that it's the same for all. Just like these forums being blue and black for everyone. #14 Re: NEW: Forum app for neonDragon! #15 Re: NEW: Forum app for neonDragon! You can indeed also thank posts with the app if you tap on a post. Just isn't possible for this topic as it's a global announcement.